Get Australia Team Schedule ICC Cricket World cup 2019 with match timings and Fixtures. 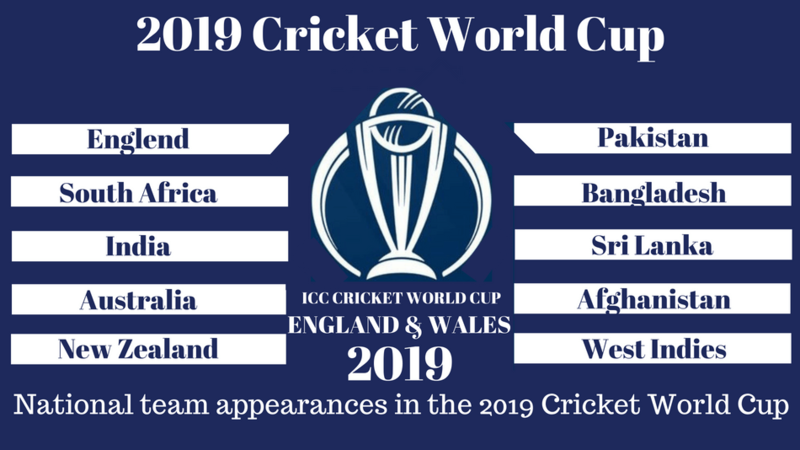 CWC 2019 is starting from 30 May in England and Wales. Australia has qualified for the Cricket World Cup 2019. All team Australia matches will be broadcast live all over the globe at Fox Sports. You can check Australia team schedule, Match Timings and Fixtures here on this page. Team Australia have been the most successful side in the number of ICC Cricket World Cup title won. The Kangaroos have the most astonishing stats of CWC tournament wins of five times. Moreover, they are the defending champions of in this season of Cricket World Cup 2019. However, this year Aaron Finch is expected to lead the young Australian side in the CWC 2019. But, the Australian team performance in mega tournament of CWC 2019 is really in question? Recently, they have been defeated in a three match home ODI series by 2-1 against India. So, Cricket Australia must take necessary measures to ensure the trophy return to Australia in 2019.